We're three games and less than a week into the season. You know, just saying. They left Isaac open for shots so many times he was feeling lonely. Was not able to be on the thread during the game - I can only imagine. What a stink fest! This was actually a game that it's better to lose than win. They thoroughly deserved the L, but it would have been worse if they had been able to sleep walk through 46 minutes and win it in the last 2. That's how the bad habits really start. Brad needs to deliver a little tough love to certain underachieving players - that would be you Jaylen. And also be patient with the likes of Kyrie - who stunk for much of the game but eventually found his rhythm and was their best player in the 2nd half. Give Orlando credit. They packed the lane, welcomed the 3's and got the crappy shooting night they needed from the C's in order to pull out a win. They did outhustle the Celtics for 3 and a half quarters, which was also discouraging - but this team still needs to find its rhythm at both ends of the floor. The game felt like a trip to the dentist. Their good players aren't making shots which is the biggest issue. There will be more nights like this - but hopefully we'll get a nice bounce-back in OKC. Also speaking to some comments here about the defense, it doesn't help that Hayward is trying to find his sea legs right now - and is pretty much a liability defensively. Couple that with being undersized with their starting lineup against a lot of teams and it's an issue. It will improve but I think Brad should consider shaking up the lineup a bit - maybe move Morris in with the starters and either drop Jaylen or swap Tatum to 6th man for a bit. I understand he needs to bite the bullet for a bit with Hayward - who is getting better, but defensively he's nowhere close to what he'll be when he's full speed. They're giving up a lot of 2nd chance points and I really think Hayward has been a weak link defensively. Teams are going at him. But that's going to change as he logs more minutes. He's the least of their problems right now. "It had a chance for sure, it was a good look," Hayward said of his late-game miss. "Kind of like the story of the night: We had a bunch of good looks. Just didn't knock them down." There were good looks all night. The shooting is off. I don’t know what you’re watching Hayward’s been fine. If anything Kyries been the weak link on defense and I love the guy. The effort is there though. This team has played one good game so far this season. The win against Philly. Other than that every preseason game and all the other games have been bad. 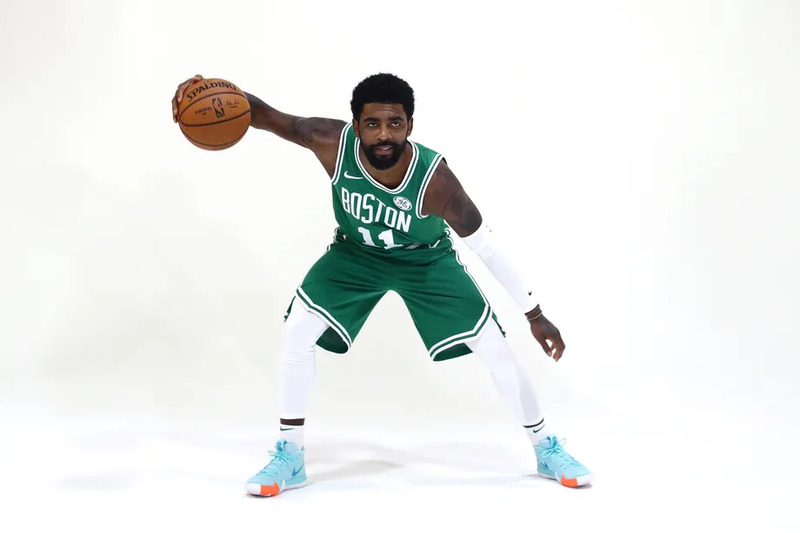 Ball movement is bad, can't make open shots, Kyrie is just average at best, without Baynes we can't guard the other team's center and we are making average players on other teams look like superstars. I am very disappointed so far. This team has played one good game so far this season. The win against Philly. Don't confuse winning with us playing well. We have been lackluster but I am not worried because it is early and I think we will be fine.